Oreo truffles are exactly what you think they are, yumlicious. They are also not the most visually appealing food when you’re making them, but man are they are so freaking good. Like cake pops they’re very versatile, you can shape and decorate them however you please. My first attempt was to make them into footballs. I wasn’t completely successful in making them look look footballs but no worries they all went to good homes. 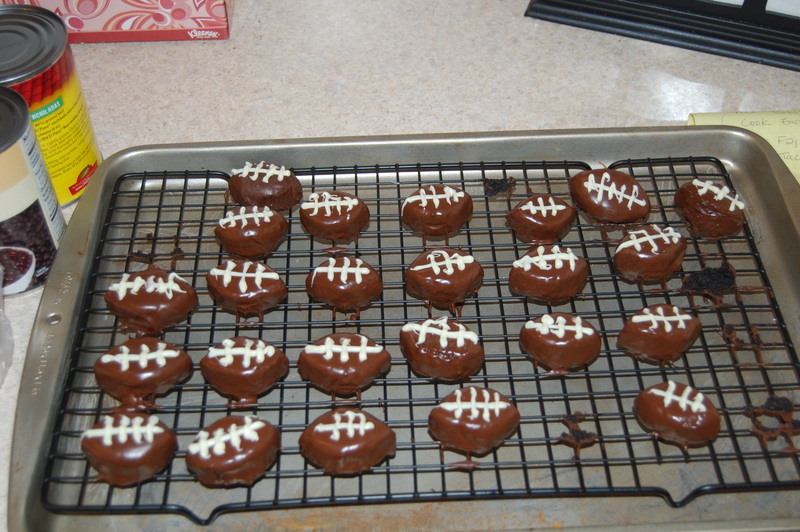 RECIPE NOTES: I used this recipe and formed into footballs and piped laces with melted white chocolate. I had a little trouble getting the melted semisweet chocolate to set, you may want to give yourself ample time to create and allow these truffles to harden. To properly set chocolate, it has to be tempted at the right temperature. i’ll help you with it next time.